Google just released the Android P Beta 3/Developer Preview 4 for the Google Pixel, Google Pixel XL, Google Pixel 2, and Google Pixel 2 XL. Likewise, Essential released the latest beta for the Essential Phone. We’re still waiting on devices like the OnePlus 6, Sony Xperia XZ2, Xiaomi Mi Mix 2S, and the Nokia 7 Plus to receive it, though. There’s not much new in the latest update besides the July security patches. But, Google still decided to add some slight changes to the user interface and the behavior of the system. The changes listed below are cumulative with the changes we pointed out in the earlier releases. If you’re interested, check out our earlier coverage of what’s new in each Developer Preview. As always, I’ll start with a bullet point list which includes all the changes that we have found so far. The following changes apply to the latest P preview for the Google Pixel and Google Pixel 2 series as well as the Essential Phone. Devices like the OnePlus 6 may include significant changes to the UI so we can’t guarantee these changes will be present once the other devices receive the latest update. 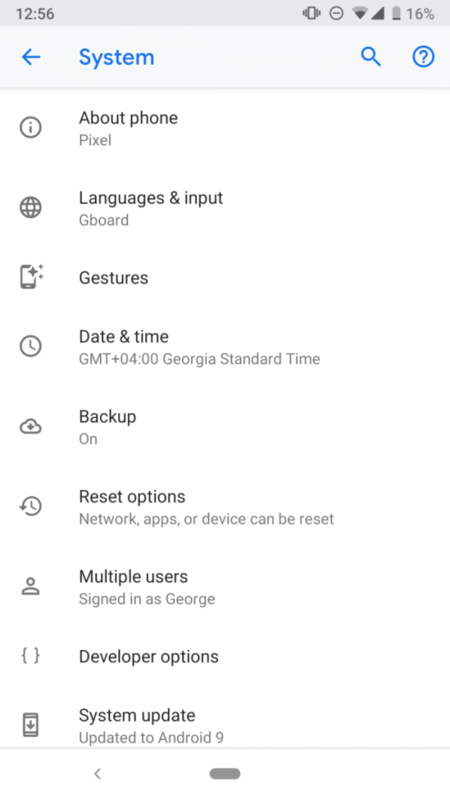 Google has been changing some things in the navigation bar since the first Developer Preview of Android P. First they added rotation lock in DP1. Then, in Developer Preview 2, also known as the first beta release, they introduced gesture navigation. 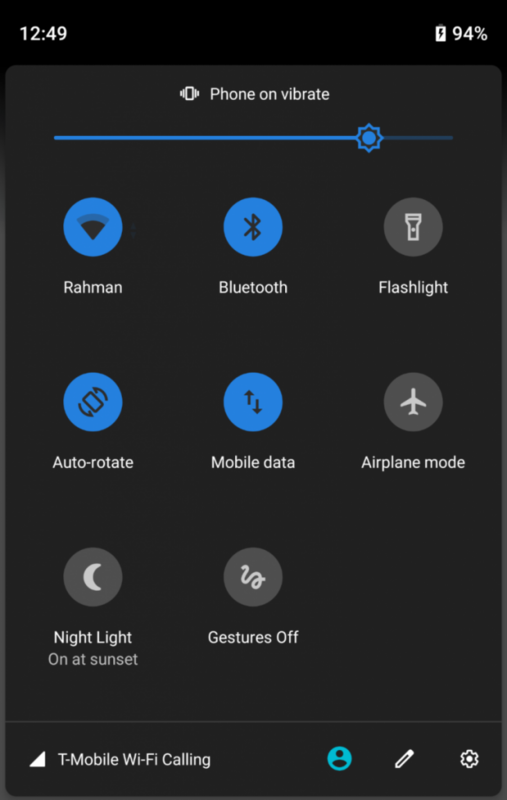 Android P DP3 (Beta 2) brought haptic feedback and some slight adjustments to the gesture navigation. The latest beta version comes with a new ‘back’ button icon. Maybe Google is trying to shift the focus from the back button as they’ll eventually switch to full gesture navigation. It’s just a matter of time, but we’re not sure if it’ll be ready for the full release of Android P.
Google also added an updated ‘rotation lock’ button in the place of ‘recents’ button in the navigation bar. Navigation bar now looks symmetrical, at least when you’re rotating the phone. 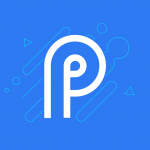 Rotation lock button was introduced in the first developer preview of Android P. It got a new look in the DP3, and now it got updated again. I think Google finally found the right place and icon for it. New icons are present in the Quick Settings panel. Almost all of them are just outlines now, instead of fully filled in. 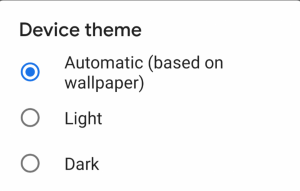 You can now toggle dark theme manually in the Display settings under Device theme category. We knew the feature was coming as it was mentioned in the Google Issue Tracker. As I’ve previously mentioned, it’s still not close to the full dark theme, but still a welcome change. You’ll need root access if you want a full, system-wide dark theme. This feature was introduced in the first beta version of the Android P, but it was only working for Google Pixel 2 and Google Pixel 2 XL. From this update, it works on the first generation of Google Pixel devices too. ‘App Actions’ suggest to you the parts of the app which you use the most. As you see, my most used ‘actions’ are XDA-Developers chat on Slack and our News board on Trello. You can see full details about App Actions here. You can now see that recent apps are bigger when you’re swiping the gesture navigation pill/home button. You can also see that now you have more space for sliding between these apps as the pill uses almost the whole width of the device. Icons in the status bar are now slightly smaller. 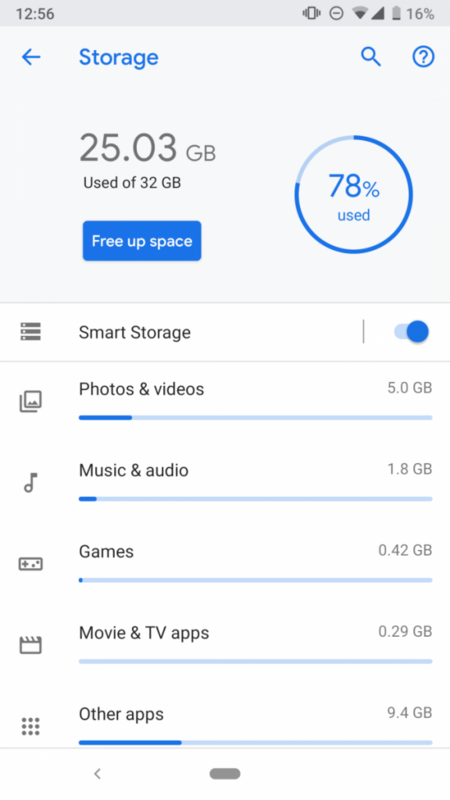 I can’t see the thinking behind it, but Google is probably making space for the notches. Don’t quote me on that one though. 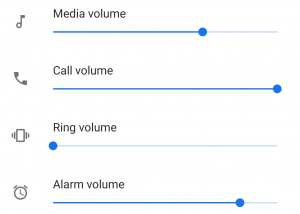 You can now manually adjust the call volume by tapping the settings icon under the volume slider. Navigation bar now features a new icon for switching keyboard when you’re typing. As it turns out, Battery Saver also follows the new outline look of the icons in the latest beta of Android P. You can see the new icon after activating the following feature. You can also see the updated icons in the Settings, too. A user reported back on the 21st of June that Always On Display wasn’t hiding new notifications if Do Not Disturb mode was enabled. It was marked as fixed just the day after. 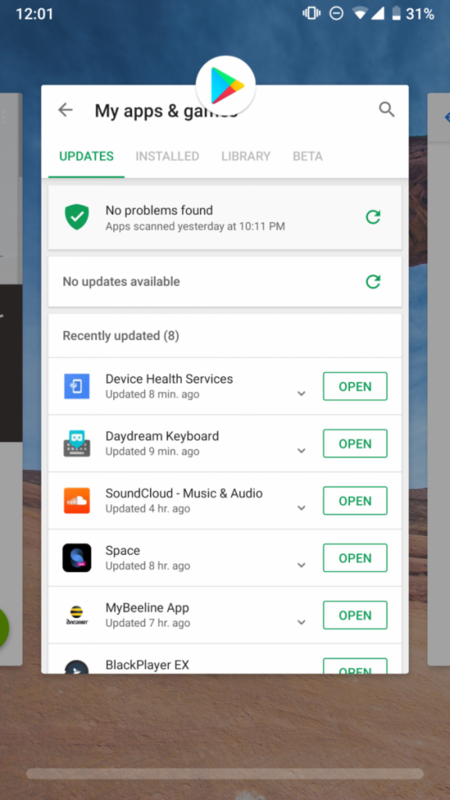 As it turns out, Android P Developer Preview 4 fixes this issue. 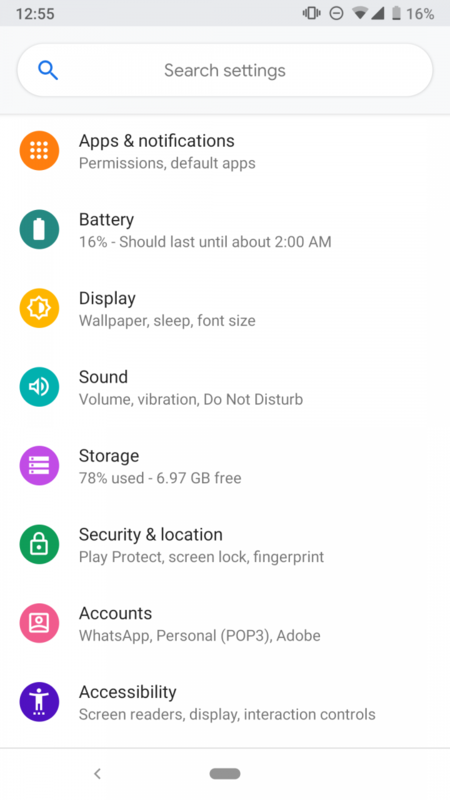 You can find a new option to disable “Bluetooth A2DP hardware offload” in the Developer Options. It’s disabled by default on Google Pixel devices. You can also see a new animation while using swipe right feature in the navigation bar to switch to the last app. The update will be available in the following weeks for other devices that are part of the Android Beta program. Head to this link for instructions about how to flash the newest update.